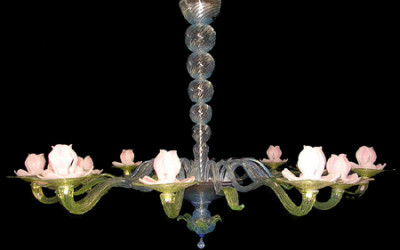 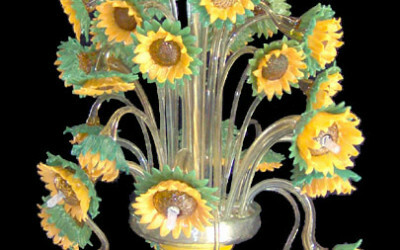 Chandelier with central stalk with secon level in the shadings of the green. 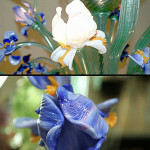 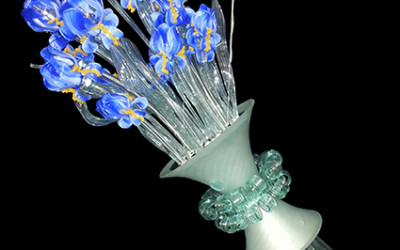 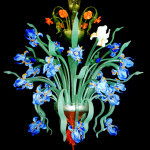 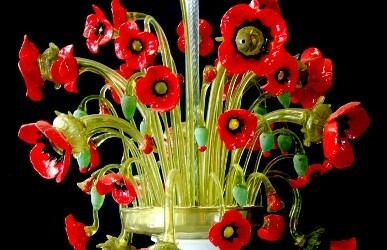 24 Flowers with light on various plans, blue Iris and realized “tagliantati” flowers orange with working to “Torcello”. 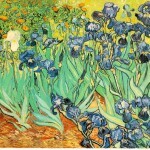 They found vanished green-orange, leaves in the etched shadings of the green and.